UCLA Luskin Urban Planning recently joined with the UCLA Asian Studies Center and other campus partners to officially welcome new faculty member Karen Umemoto. A reception in her honor was held April 25, 2018, at the Meyer and Renee Luskin Conference Center. 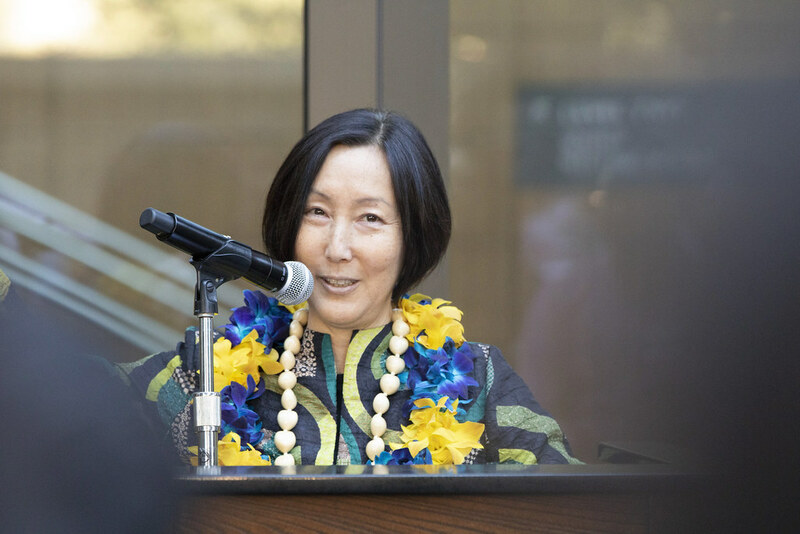 In addition to joining the UCLA Luskin Urban Planning faculty, Umemoto will lead the Asian American Studies Center as the inaugural holder of the Helen and Morgan Chu Endowed Director’s Chair. Other partners for the reception were the Asian American Studies Department at UCLA and the UCLA Institute of American Cultures. Click or swipe below to browse photos from the reception.